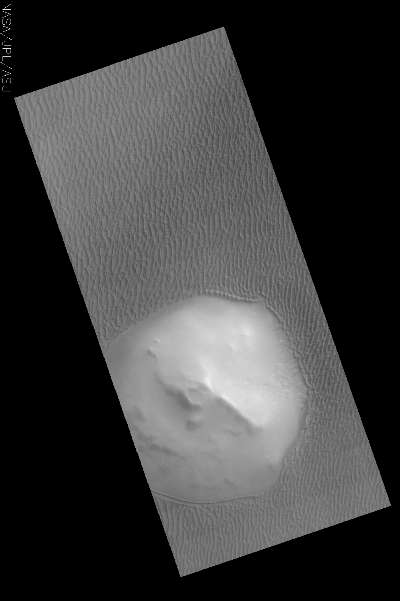 Originally released as an Art image (of waves washing around a barren desert island), this THEMIS daytime IR image shows part of the north polar sand sea. The 'island' is higher in elevation than the surrounds and has no sand cover. This image was collected during summer - so the dunes are completely defrosted but the 'island' is icy.